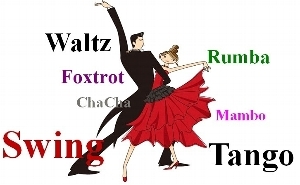 Everyone is welcome (singles, couples, experienced and beginners) to join us at our dances. Check our schedule often. Anniversar on 3/19, so i was looking to start a dance class. My fiance and I want to take 1 or 2 lessons with our parents for our wedding! There will be 3 couples. My fiance and I are in our late 20's and our parents are in their late 50's. I am getting married in September and I am looking for a new and fun idea for Valentine's Day for my fiance.